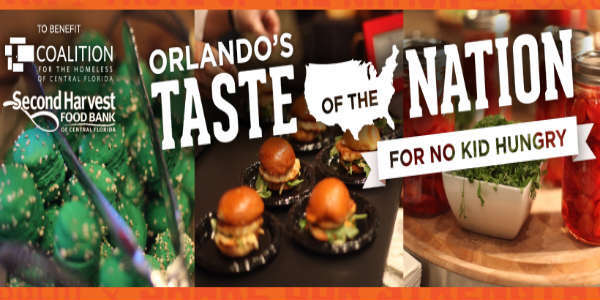 One of my favorite culinary events in Central Florida is the annual Orlando Taste of the Nation, which serves up great food in support of raising funds for the No Kid Hungry campaign. Orlando Taste of the Nation returns for its 27th year on Saturday, August 27, and features over 40 of Central Florida’s best restaurants and chefs showcasing tasting portions of their best dishes. There are nine restaurants making their debut at the event: Benihana, Canvas Lake Nona, Eleven and Forte at Reunion Resort, Hemisphere Restaurant at the Hyatt Regency Orlando International Airport, Nova Scratch Kitchen, The Osprey Tavern, Restaurant ASH, and The Rusty Spoon. Returning favorites include Capa at Four Seasons Resort Orlando, Cuba Libre Restaurant & Rum Bar at Pointe Orlando, Highball and Harvest, and Whisper Creek Farms: The Kitchen. A handful of students from The Second Harvest Culinary Training Program will also be at Orlando’s Taste of the Nation this year to lend the cooking skills they have mastered in Second Harvest’s 14-week program designed to provide qualified, at-risk and economically disadvantaged adults with the culinary and life skills training needed to pursue a sustainable career in the food industry. All this wonderful food is accompanied by fine wines, craft beers, and specialty cocktails to sample. Among those participating this year are Cigar City Brewing, Crooked Can Brewery, Orlando Brewery, Cooper’s Hawk Winery and Restaurant, Lakeridge Winery, Onli Beverage Co. and my favorite from last year, Tito’s Vodka. Many of the restaurants will also be offering signature beverages. I’m happy to be returning as a Social Ambassador for this year’s Taste of the Nation. 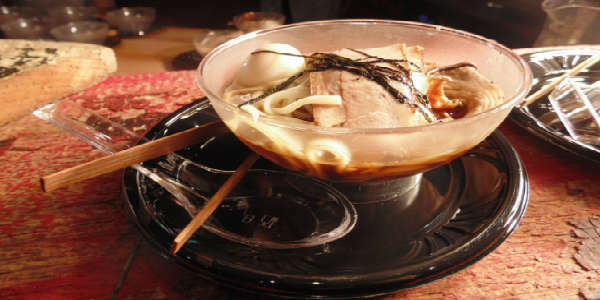 You can read my review of last year’s event for more information (and food photos!). In addition to ticket sales, this years Orlando Taste of the Nation is offering several mini-fundraisers during the evening. A fully automated mobile silent auction featuring signed memorabilia, stays at upscale hotels, dining experiences, rounds of golf on area courses, and exotic adventures and getaways. Guests can also win fine bottles of wine with the all-new Ring Toss for Wine fundraiser. Rings are available for purchase to toss onto wine bottles ?$5 for two tosses or $10 for six tosses. When a ring lands around a bottle neck, the guest wins a bottle of wine to take home. For the first time, Orlando’s Taste of the Nation introduces the Golden Ticket Giveaway, offering an exciting new way to win a pair of complimentary tickets to this year’s event. Guests who dine at select, participating establishments can ask their server for a Golden Ticket to receive a concealed envelope that may contain a pair of tickets to this year’s event. Chances of winning are 1 in 10. Follow hashtags #OrlTaste and #GoldenTicket for a list of participating restaurants and updates on remaining Golden Tickets. The Golden Ticket Giveaway runs from Aug. 1 – 22, 2016. Tickets are $150 per person, and can be purchased at NoKidHungry.org/Orlando. Every dollar raised fights hunger and homelessness in the Central Florida. Orlando’s Taste of the Nation for No Kid Hungry is the region’s longest-running food and beverage event raising funds and awareness for children’s nutrition programs provided by national beneficiary Share Our Strength, regional beneficiary Florida Impact, and local beneficiaries Coalition for the Homeless of Central Florida and Second Harvest Food Bank of Central Florida.